Readers who have been intrigued by our prop-newspaper-based (paid) product Dateline: Lovecraft might be interested in this online review posted a few days ago. In it, the reviewer rather thoroughly walks through all the components which make up the Dateline: Lovecraft product. It’s a great read if you want to know exactly what you will be getting for your money should you decide to buy the PDF. BTW: the reviewer’s conclusions are generally very favourable (“an excellent and well-developed prop”) although he or she does not some small niggling things as well. We agree with those too. One thing that the review doesn’t mention is the line of support supplements that we would REALLY like to release as free (or PWYW) add-ons to make Dateline: Lovecraft something that is even easier to pick up and drop into your average Lovecraftian campaign. As a reminder, the first of these has already been released as a taster. 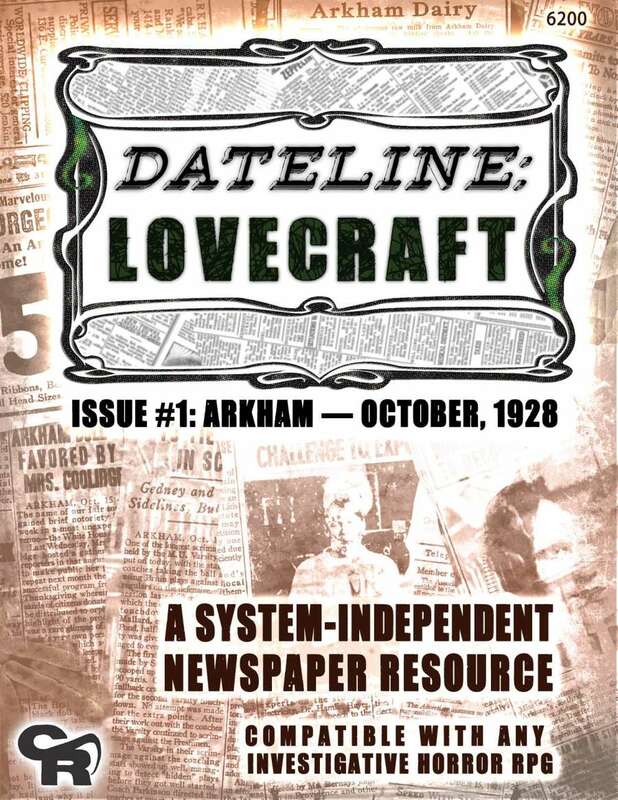 Sales of Dateline: Lovecraft in September and October were quite strong, but since then things have gone a little quiet. We’re still quite hopeful that we will have raised enough funds before the end of the year to release the second supplement (which is already written and ready to go). But that will ultimately depend on finding another 30 or 40 generous gamers or Lovecraft enthusiasts who would like to buy our meticulously-researched vintage prop newspaper and it’s associated game tools!